Village amenities, Greens, Commons, Street Lighting and Allotments. 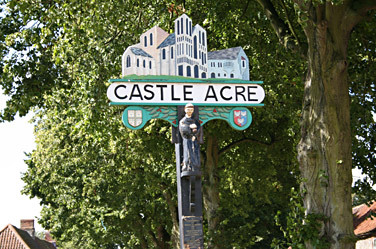 In addition, the Parish Council consults with other authorities over a number of matters such as planning, licensing and conservation. There are 9 members elected for four years. 7:30pm on the second Thursday of each month in the Village Hall. The public are always welcome at the meetings. If you have any matter you would like to raise at a meeting of the Parish Council, please email the Parish Clerk at linda.roast@btopenworld.com ten days before any Parish Council meeting. Any overflowing public waste bin, bottle or paper bank. Any recent deep pothole (email a photo). Blocked drains on public roads. Uncut hedges impeding public footways. Tree branches snagging overhead electricity or telephone cables on public roads. Vehicles parking overnight on the village Greens. Damage to Greens/verges/kerbs by careless HGVs or tractors/trailers (+ registration number). Fly tipping and excessive litter. Damage to South Acre Ford banks by 4 x 4 (+ registration number). General vandalism/damage to signs, noticeboards, bus shelter. Disturbance from Drones - download info PDF. Contact details for all councillors are listed here. To view the Parish Council agenda and minutes, click on the relevant date to download a PDF. To view the Parish Council News updates, click on the relevant date to download a PDF.